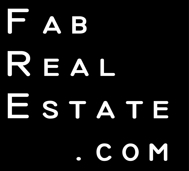 Fab Real Estate Blog: You're Very Welcome! As agents, we're used to giving things to clients. We stay in touch with them. We send cards. We give the occasional gift. But, as an agent, there is nothing better than to receive a gift from a client. It says we did good. We helped. And, of course, it puts a big old smile on our face! I have often received gifts from clients after I help them buy or sell their home. I've been given kisses. I've received cards. I've received gifts. More importantly, I've made friends - I've spent birthdays, anniversaries and holidays with past clients who have become part of my circle of friends. How cool is that? The other day, I received something quite unexpected: A gift from a client who bought a home with someone else. They bought a home in an area I do not service. I knew they were looking there, and I was aware they were working with another agent at the same time they were working with me. They were honest and up front from the start - it was the start of a good relationship! Imagine my surprise when a local wine shop delivered this crate of wines...and they are nice wines, too! It was their way of thanking me, even though in the end they bought a home with another agent. It made my day. As agents, we put a lot of ourselves into our business - time, skill, experience, money and energy is spent on each and every of our clients. And, yes, it is worth it. So, to Adam and Christine, I would like to say thank you. But, I guess I should say, "You're very welcome." I'll work with you again any time. Enjoy your new home! Don - you are very welcome. Through our extensive search for a home, we had narrowed our "look" to Ridgefield, CT and Katonah, NY. Each town was equally desireable, and it was just a matter of which house we fell in love with first, and were fortunate enough to purchase. In our case, it was a home in Katonah. Don made our experience looking for a home in Ridgefield pleasant. He took a true interest in our needs and appreciated our honesty. Unfortunately, his efforts did not result in a sale but we are very appreciative of his time and expertise. Don - enjoy the wine after a long and difficult day with a client :). it was nice of them to be upfront about working with two agents - not all buyers are that way. Enjoy the wine! Don~ That is exciting isn't it? It is wonderful that our clients end up our friends, and most of mine do too! Kara - By being upfront that they were looking in two areas, there were no secrets, no issues, and everything was out in the open. We all knew what we were doing, and I knew they may buy a home elsewhere. Because of the honesty, there were no hard feelings and I truly wish them nothing but happiness in their new home. Vickie - Yes, it's always fun to be acknowledged. They went a little above and beyond, but it was very much appreciated. Anthon - Of course there are clients who ask their agents to help them move. I've been asked to clean. I have my limits! That's really cool. Thursday, after doing the final walkthrough, the buyer went back to his car to return with a big box. Inside was a card thanking me and saying they couldn't have done it without me, plus a big ceramic bowl with a lovely arrangement of succulents. They know I have a cactus garden in my yard. It was very touching. So, I know how you feel. Elizabeth - I bet that made your day! And such a personal gift, too. That's fantastic. You did good!